Sound Souviner's from the 1950's, 60's 70's and 80's on 92.7 FM and 1240am. Hear local events, weather and Interstate 40 conditions. KDSK Through the Years. 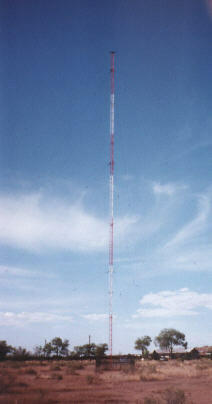 . .
KD Radio, Incorporated purchased KMIN AM and KDSK FM in Grants in January 2001. Having had much success with kdradio.com in California, it was decided to put the massive KD Radio oldies format of 7000 songs on the broadcast station KMIN. The response has been very good. KDSK was a hot country station at this time. In April 2001 KMIN began streaming its Sound Souvenir's programming on the internet at kmin980.com. On June 14, 2004 KMIN's Sound Souvenir's format moved over to the FM side of the dial, on KMIN's sister station KDSK located at 92.7 on the FM dial. Due to the Sound Souvenir's strong showing in the ratings, number one in it's market, management made the decision to move the format to the stronger KDSK FM signal. This move was made after one week of simulcasting the Sound Souvenir's format on both KMIN 980 AM and KDSK 92.7 FM. In July 2012, KD Radio purchased KALY 1240 in Albuquerque and started simulcasting KDSK 92.7 programming on August 20, 2012. The new license was issued as KDSK 1240am..
2014 & 2015 KDSK builds a bigger presence in Albuquerque/Rio Rancho with the addition of an FM translator for 1240AM on 93.7FM. In October, 2015 KDSK rents office space in Rio Rancho and starts construction of production and air studios. In May, 2016, KDSK officially opens it's new studios in Rio Rancho, New Mexico. In September, 2016, KDSK switches translator frequecnies from 93.7 to 92.9FM. .